When I was a young hockey fan, one of the first books I ever read about the Montreal Canadiens was Lions in Winter, written by Chrys Goyens and Allan Turowetz. When reading it, one cannot help but be overcome with a sense of aura and mystique about Les Glorieux. You read the tales of Maurice Richard, Jean Beliveau, Guy Lafleur, and Patrick Roy, and how these men led their teams to championship glory. The tremendous “élan” of the great Canadiens teams of the past put the club and the organization on a different level than their competitors; the Habs are not just another hockey team, they are much more than that. They are special. They are a cultural institution, within the province of Quebec and across Canada. The pomp and circumstance of the team’s Centennial season was a great reminder of all of the dignity, grace, elegance, and pride with which the franchise carried itself for so much of its first 100 years. Today, however, much of that reputation has been left in tatters. Numerous moves made in the past year at the organizational level have done much to tarnish the image of the Canadiens as a first-class franchise, while at the same time the on-ice product has resulted in the worst home record in the entire NHL. The organization and the team have both fallen from grace, as the circus atmosphere surrounding the Canadiens has been dialled up to the 3rd degree throughout the past twelve months. Much of this is hysteria created by certain quarters of the Montreal media, but even if all of that is stripped away, we still see the portrait of an organization that has made bad decisions and followed them up with panicked decisions, further exacerbating the problems and feeding into the negativity that the media hounds use to fan the flames of hysteria. It is a downward spiral that has alienated large segments of the fan base, who have gone through numerous stages of grief and ultimately arrived at a sense of ennui for the final quarter of the season. With the team’s playoffs chances essentially nil by the start of March, the fans are already looking forward to the 2012-13 season and the organizational housecleaning which must transpire to restore pride in the Montreal Canadiens. Before the on-ice product can be improved, the architects of the current squad must be removed as soon as the final horn sounds against the Toronto Maple Leafs on April 7th. For the first time in five years, the Canadiens will not be playing post-season hockey, and this is something which is unacceptable in an organization where the stated objective every season is to win the Stanley Cup. The Canadiens do not hang division championship banners in the rafters of the Bell Centre. Failing to make the playoffs is not something that the fans, the players, the sponsors, the media, and most importantly the organization find tolerable or acceptable. The pressure—both internal and external—to win now is permanent. 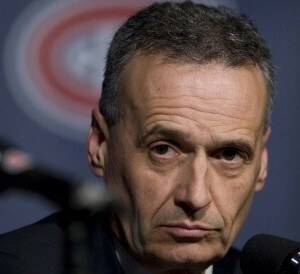 It is for these reasons that general manager Pierre Gauthier absolutely cannot remain in his position after this season concludes, and it is for these reasons that he must be replaced before the planning begins in earnest for next season. amateur scouting team for the Canadiens, headed by Trevor Timmins, is not a part of the problem. Timmins did not trade Ryan McDonagh and Chris Higgins (both first round draft choices) to the New York Rangers, and while some may question (with the benefit of hindsight) some of his other first round selections, he has consistently been able to find quality players in later rounds that have turned into bona fide NHL regulars. He will have plenty of opportunity this June to improve the future of the Canadiens, as the team holds all of its picks for the first four rounds plus the 2nd round selection of the Nashville Predators. As the team will no doubt finish in the bottom five of the standings it is in a prime position for a lottery selection, which means that there is a strong possibility the team could add either Nail Yakupov or Mikhail Grigorenko this summer. Both of these prospects are touted as being NHL-ready at age 18, and both would fill a major organizational need for the Habs. Many fans, the author included, are leaning towards Grigorenko, a 6’2” forward that can play either centre or right wing that brings size and strength to his game. Yakupov is another skilled playmaker, and while the Habs would be foolish to pass on him if he is available to them and Grigorenko off the board, his size places him in the same category as a more skilled Tomas Plekanec. The Canadiens fan base has clamoured for a generation now for a big centre that can control a game, and Grigorenko represents that opportunity. Indeed, if all goes according to the plan of some fans, Grigorenko will not be the only major acquisition the Canadiens make this summer at the expense of the Quebec Remparts. Ever since the Canadiens organization cut off current head coach Randy Cunneyworth at the knees, he has been in a lame duck situation, merely playing out the season as he awaits to be replaced by someone acceptable to the Quebec language police. For Gauthier to make such as a statement as he did when he apologized—actually apologized to people—for hiring a unilingual Anglophone coach betrayed his new hiring and set him on an unwinnable course. Regardless of whether or not the season was already deemed lost in December when Jacques Martin was fired on the morning of an important game, to effectively slap a “best before June 2012” sticker on Cunneyworth was a move desperately lacking in class. When ranking low moves made by NHL executives this past season, this move ranks right near the bottom in a competition with Columbus GM Scott Howson throwing his team’s captain Rick Nash under the bus at the trade deadline. It made Cunneyworth’s performance as interim coach irrelevant in terms of his future with the club; in order to appease the media and a small segment of the fan base, Gauthier undercut his new coach and made it clear that there would be a new face behind the bench in 2012-13. Cunneyworth, for his part, has done himself few favours in his short time as head coach. He has continued to give the utterly ineffective Scott Gomez prime playing minutes while limiting opportunities for his young players. The team has continued to squander leads and play terribly in front of 21,273 fans at the Bell Centre on a regular basis. The near-catastrophe against the Minnesota Wild at the start of March embodied everything wrong about the current coaching philosophy and roster issues facing the Canadiens this season. Though the Habs narrowly escaped blowing a 4-1 lead with a shootout victory, many fans were absolutely aghast at the meltdown in the final minutes of the third period. This is something that the Habs used to do to other teams. Cunneyworth, much like his predecessor, puts his young players in situations where they are doomed to fail, and in turn they are punished with less ice time. Even though Gauthier cast the die against his head coach months ago, Cunneyworth has done little to bolster his resume for future NHL employment. Who defines winning better than this man? Ever since Guy Carbonneau was fired in March 2009, the Canadiens have lacked a spirited personality behind the bench. While an outright caricature a la John Tortorella is not necessary, having a fired-up and provoking personality as a head coach can help a team get and stay motivated during important times in a game or a season. The Habs have also been without a coach that has a winning legacy at any level of hockey; Jacques Martin has a decades-long career without a single Stanley Cup Finals appearance, while Cunneyworth’s record as a player and a coach is also devoid of championships. If the Canadiens are serious about instilling a winning mentality in their players, then they must turn to a proven champion to lead them as their next head coach. 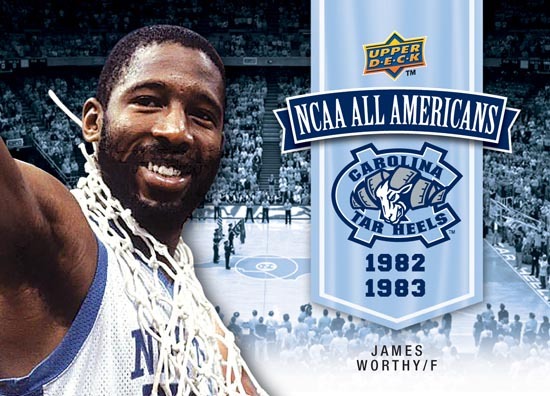 They must turn to their storied past one more time to help lead them to a brighter future. They must turn to one of the fiercest lions in the club’s history, a man that defines winning, nothing else. 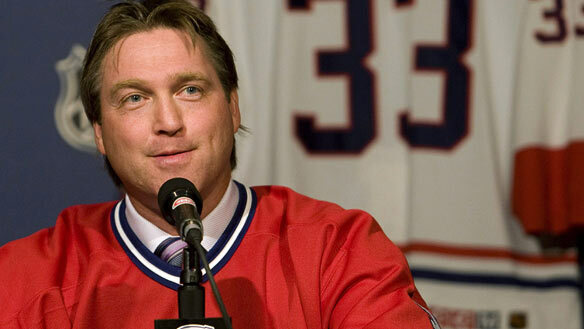 It is time for Patrick Roy to become an NHL head coach. 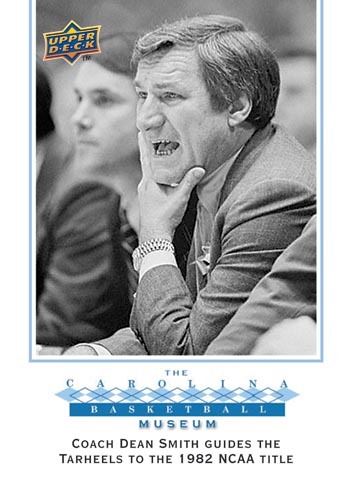 Roy knows the game tremendously well, and was one of the most cerebral players of his era. He carried the Canadiens to Stanley Cup championships in 1986 and 1993 that they had no business winning, earning the Conn Smythe on both occasions. 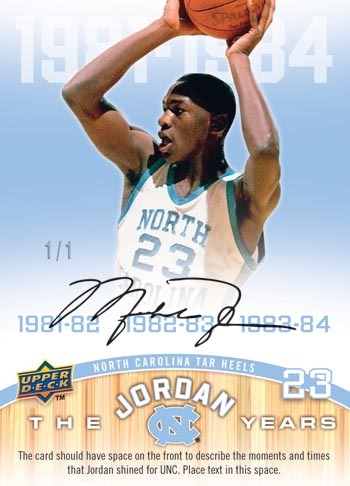 He continued that championship legacy after the Colorado trade. Following his retirement, Roy took up coaching in the QMJHL where he has led the Quebec Remparts to a Memorial Cup championship (2006) and consistently had the team near the top of the QMJHL standings. His continued commitment to winning has attracted interest from other teams, and Roy himself expressed in 2009 that he was interested in one day becoming an NHL head coach. It would only be fitting that Roy make his debut behind an NHL bench with the same team that made him a legend as a player. Yes, Roy does come with some drawbacks: his fiery temper and alleged ego may overshadow some of his players’ on-ice exploits. But he has demonstrated himself to be savvy with the media, an effective motivator, and an engaging coach that gets the best out of his players. Most interestingly of all for fans who are tired of “the system” of the Martin era, “Since taking the reigns [sic] in Quebec, Roy has preached nothing but offense. The Remparts offense has never ranked below 6th and has been Top 4 five times in the last 6 years. Despite his offensive propensity, Roy is no slouch on the defensive end. He may not focus as much of his attention towards defense as he should but he still has managed to have a Top 6 defense four times in his 6 years.” The Canadiens’ legacy is predicated on fast and skilled players utilizing those talents, and it is time to hire a coach that can bring back Canadiens hockey to Montreal. With Roy as the next head coach, an experienced general manager becomes all the more important. The next GM must provide Roy with the personnel that can be channelled properly and help the Habs rebound quickly from the disastrous 2011-12 campaign. There are a number of key contracts that must be renewed this summer: Carey Price and P.K. Subban are both restricted free agents that will command significant raises above their current deals. Price will likely expect a deal in range with his fellow elite goaltenders, and while Subban will not get a Doughty-like deal, his second contract will be hefty. To accommodate these deals the new GM must also find a way to purge the team of the toxic contracts that are infecting the team’s payroll. Scott Gomez and Tomas Kaberle must not be part of next year’s Canadiens. 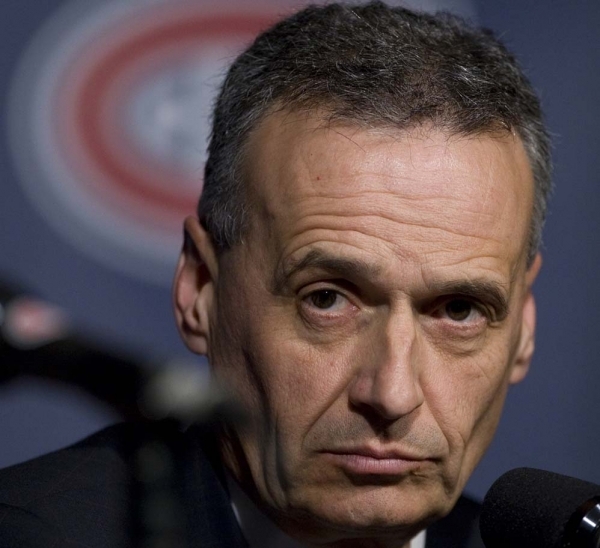 Getting the right people to join the Canadiens will be a top priority for the next general manager, thus making it critical that that person is an astute talent evaluator and master of salary cap management. We do not yet know what the financial landscape of the NHL will look like next season and will not until the new collective bargaining agreement is signed, but the next GM must be ready for whatever awaits. elsewhere. 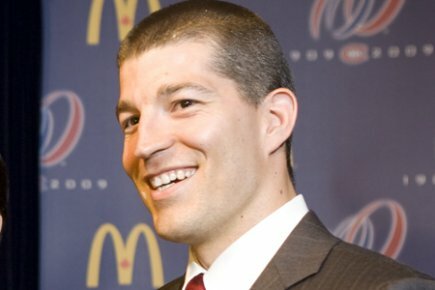 Julien Brisebois has been the assistant GM in Tampa Bay for the past two seasons; prior to that he was involved in the Montreal organization for nine years. He knows the club’s philosophy and he is familiar with many of the personnel here. Indeed, he is partly responsible for them being here. At a mere 34 years old, Brisebois is a hot commodity and could emerge as one of the best executives of the new generation of NHL leadership. He is a product of the “new NHL” that arose out of the lockout: he was the Canadiens’ capologist for several years and he also spent time as the general manager of the Hamilton Bulldogs. He is intelligent and articulate, with a legal background that makes him a strong contract negotiator, and would make for an excellent successor to the disastrous Gauthier regime. The hitch may be in luring Brisebois away from Tampa, where he is being mentored by Steve Yzerman, though Yzerman himself “has publicly commented that he expects to lose Brisebois to another team looking for a general manager.” While it is always a risk to give an executive his first NHL general manager position in an intense pressure cooker like Montreal, Brisebois would be up to the task. There is little reason to believe that the Canadiens cannot orchestrate a rapid turnaround from this annus horribilus and re-establish themselves as a legitimate contender next season. They have an all-world calibre goaltender, a solid defence corps that will be bolstered by a healthy Markov, and some forwards that are capable of potting 25-30 goals a season. The organization will need to lure some key free agents to replace the roster holes created by departing players (a list that will hopefully include Gomez and Kaberle) and it will need to protect its young assets with some veteran presence. There is a recent precedent for a lottery-pick team to rebound and have a fantastic season: in 2006-07 the Philadelphia Flyers finished with an astonishing NHL-low 57 points, only to come back in ’07-08 and go all the way to the Eastern Conference Finals. Granted, the Flyers benefited from being able to trade a valuable commodity like Peter Forsberg to fast-track the rebuild. But with a new coach in place that puts a priority on offence, and a new general manager that can recruit talent that has the drive and passion to compete at a high level in Montreal, there is no reason to not believe that the lions of winter can roar once again. Print article This entry was posted by Pheebs888 on March 25, 2012 at 5:41 pm, and is filed under Articles Contest. Follow any responses to this post through RSS 2.0. You can skip to the end and leave a response. Pinging is currently not allowed. If Roy becomes the coach i will never cheer for the habs again and move my alliance to another team,we don’t need the boys club running this team,we need fresh blood not worn out retired players trying to be a coach or gm! The Big Goalie Contract: Securing Long-Term Success or Financial Albatross? Can the Habs Save Their Season?